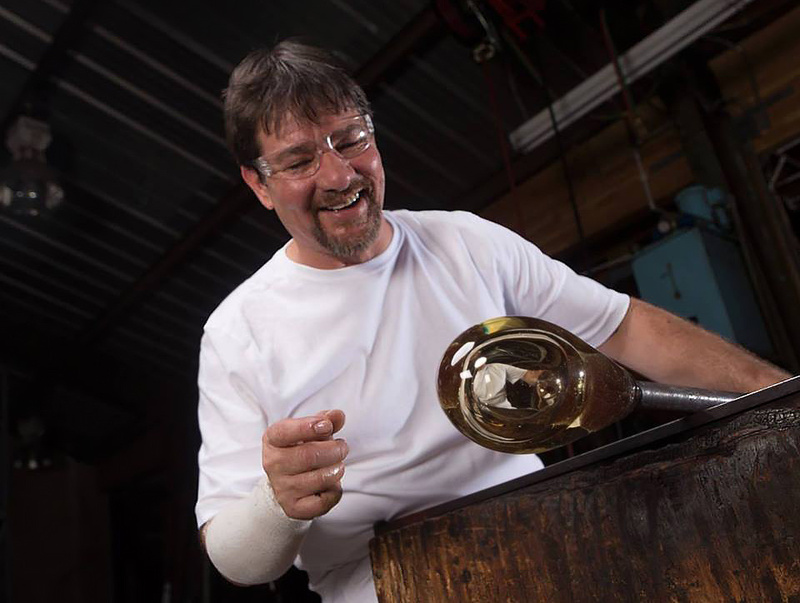 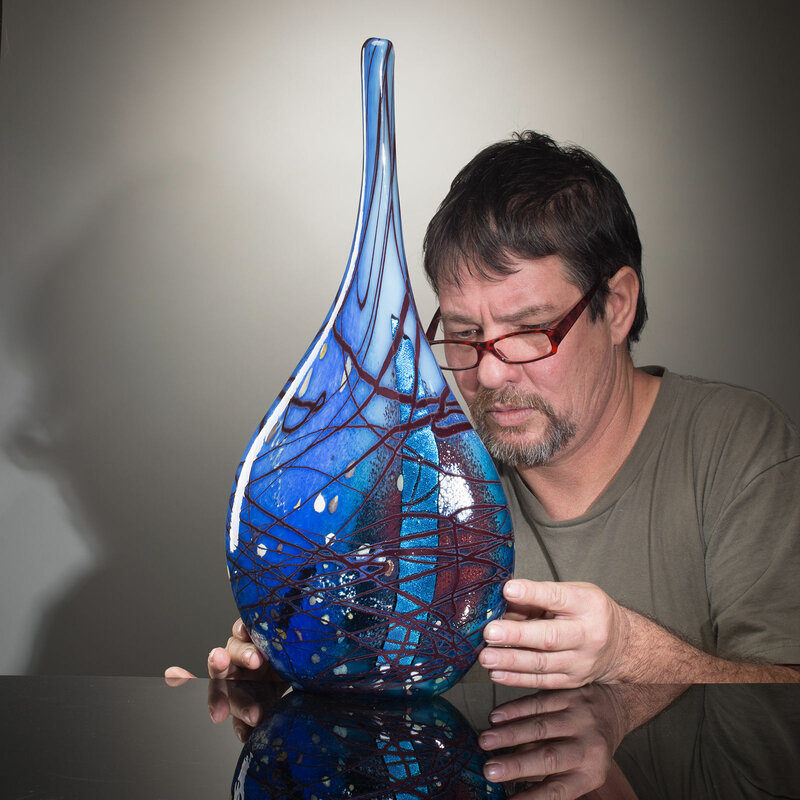 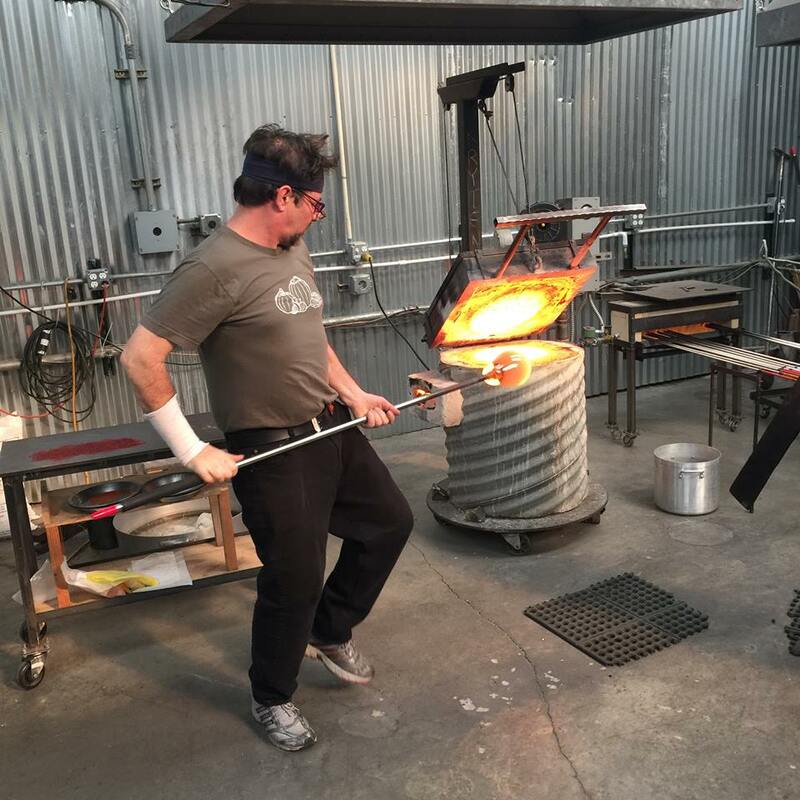 Whether I am making a conceptual sculpture or a simple drinking glass, my goal is to explore the range of color and beauty that glass offers as a medium. 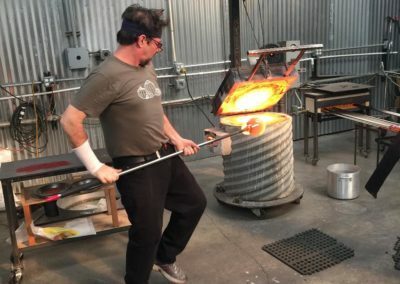 Though I trained for a career in digital arts, I have always been attracted to media that I could actually shape with my hands. 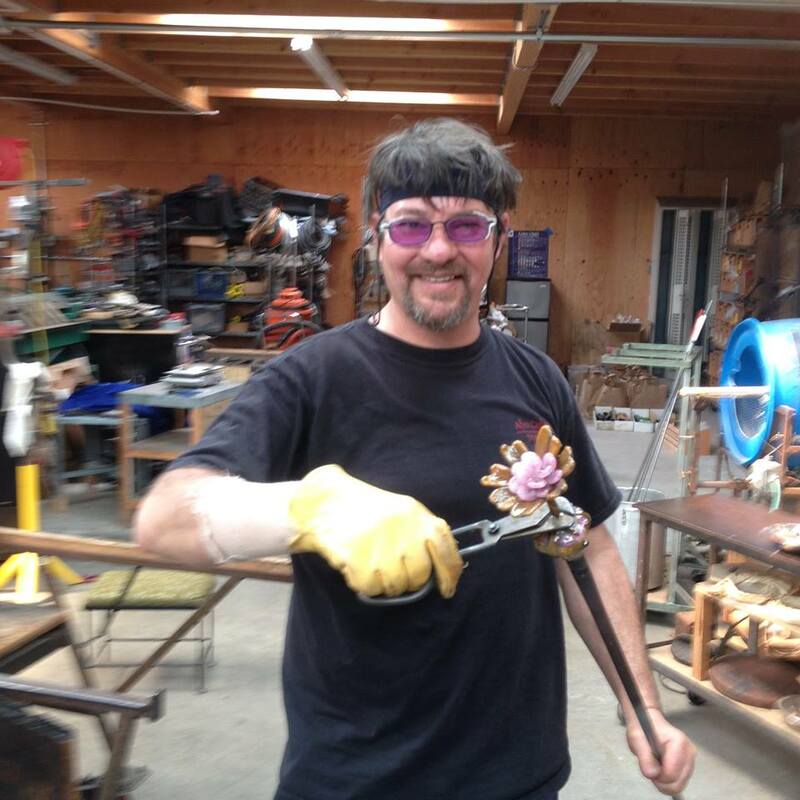 In the mid-eighties I began exploring various studio arts and even took up metal smithing for a few years. 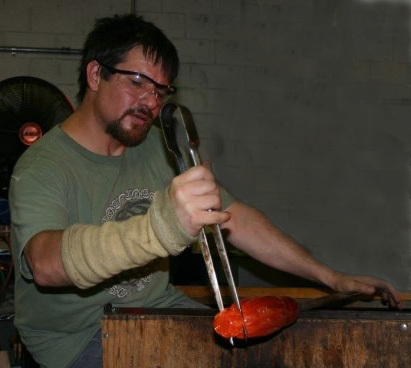 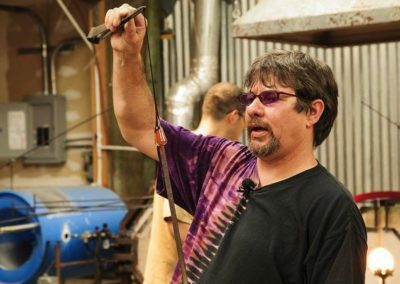 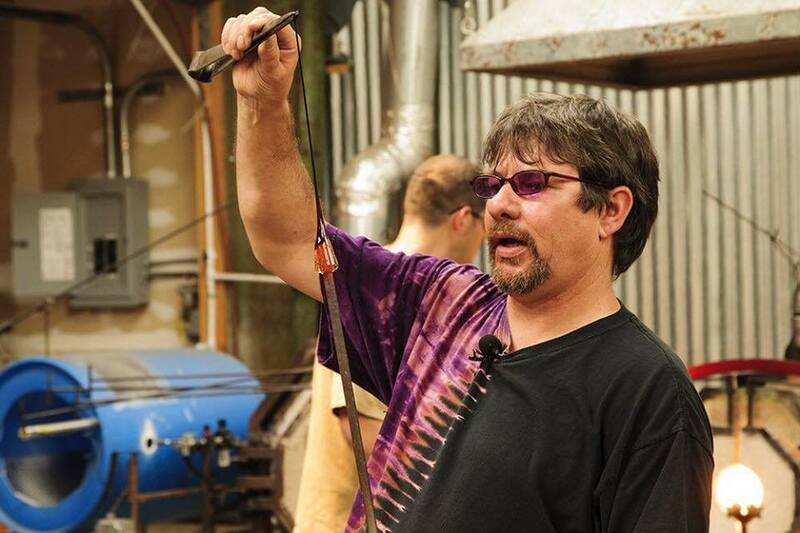 In 1998 a friend introduced me to glassblowing… and I haven’t looked back since.